Jewelry designers have long searched for an affordable gem to complement the rich blues so prevalent in fashion, from denim to velvet. They found it in iolite, an unusual gem that offers rich blue color that won't break the bank. Named from the Greek ios , or violet, iolite at its best is a rich violet blue that might remind you of better-known gems like tanzanite and sapphire. Although it is still not well known, iolite has a long history. When Leif Eriksson and the other legendary Viking explorers ventured far into the Atlantic, away from any coastline that could help them determine position, they relied on iolite to help them determine their location. They used thin pieces of iolite as the world's first polarizing filter. Looking through an iolite lens, they could determine the exact position of the sun, and navigate safely to the new world and back. Pleochroism may have been helpful in navigation but it makes things difficult for a gem cutter. If iolite is not cut from exactly the right direction, no matter the shape of the rough, its color will not show to its best advantage. 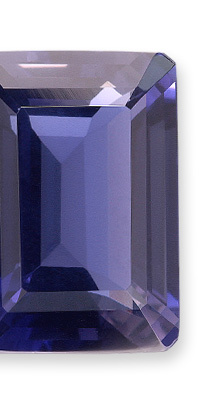 Iolite is usually a purplish blue when cut properly, with a softness to the color that can be quite attractive. It is more common to find iolite with beautiful blue in small sizes: larger sizes are often too dark, almost black. Iolite is readily available and surprisingly affordable in sizes up to 4 or 5 carats. The better and richer the blue, the higher the price. 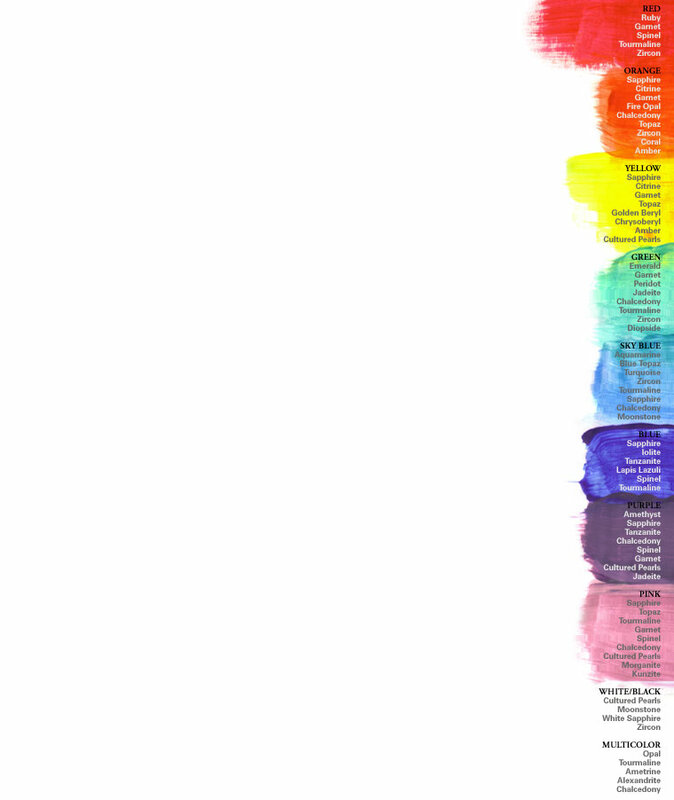 Colors that are gray, purple, or less saturated blue are less. Iolite is mined in India, Sri Lanka, Mozambique, Zimbabwe, and Brazil. The Vikings probably mined iolite from deposits in Norway and Greenland. The most common shape is oval. Iolite is relatively hard, with a Mohs Hardness of 7 to 7.5, but should be protected from blows. Clean with mild dish soap: use a toothbrush to scrub behind the stone where dust can collect.